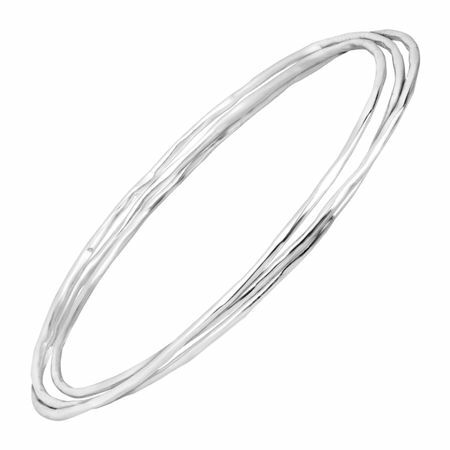 This set of three bangles is perfect for adding a certain glow to any outfit. Crafted in quality sterling silver, this set is set to let your true self shine. Bracelets measure 8 inches in circumference and feature easy slip-on designs. Piece comes with a “.925” sterling silver stamp as a symbol of guaranteed product quality.